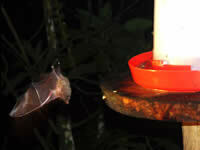 Bats taking advantage of nectar feeders put up in Ecuador to attract hummingbirds. (Photos © Gustavo Morejón.) Click on the images to see larger versions. "There is activity at night!" So wrote Gustavo Morejón who is working on a World Land Trust project in the heart of the Buenaventura forest in Ecuador. 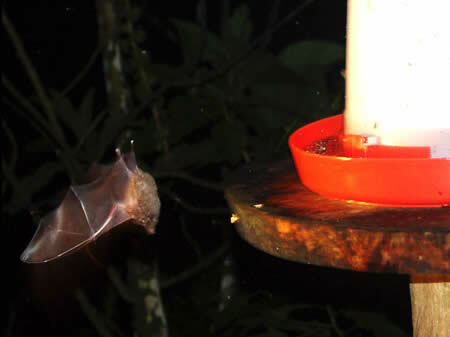 Over the past few months, Gustavo, an Ecuadorian biologist, has been working with WLT's Jack Astbury on a new project at Buenaventura, using nectar and fruit feeders to attract wildlife to the trial site. 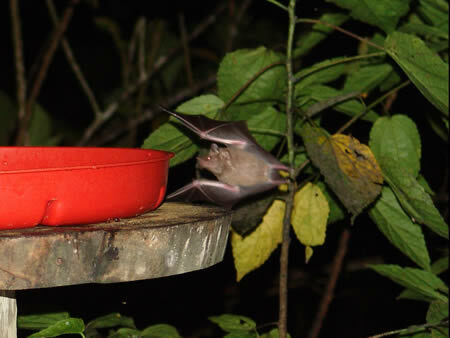 Initially these were set up to attract hummingbirds, but Gustavo was overjoyed to find bats visiting the feeders at night. Other visitors to the feeders so far have included toucans and coati (a small racoon-like mammal, referred to locally as cuchucho), all gathering to munch on bananas! Hummingbirds are genetically programmed to seek out bright red objects since that is the colour of many nectar-rich flowers, so to maximise visits from these birds the feeders – large plastic trays – are red. They are filled with sugar-water to supplement their food source, although the birds prefer real nectar, so there is no risk of the flowers being left unpollinated. 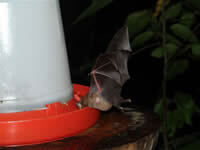 Motion or heat sensitive cameras, so called "camera traps", are being used in other parts of the Ecuador reserves. 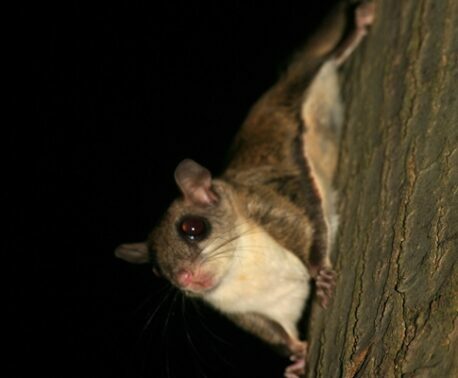 The cameras are attached to trees and automatically take photos when an animal strolls past, triggered by their movement or body heat. 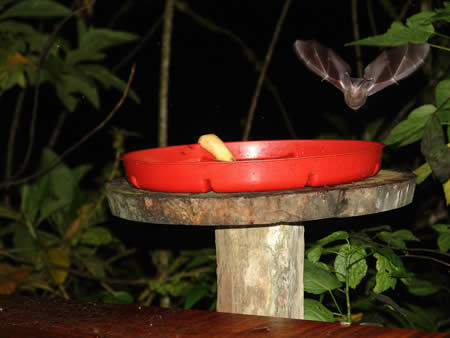 This technique gives us the opportunity to see rare animals going about their business undisturbed. 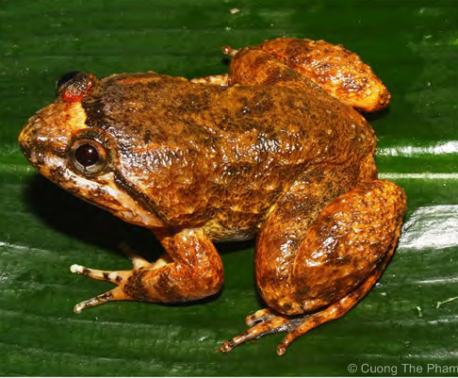 We are hoping to be able to use camera traps to capture footage of the many different types of animals living in this part of the reserve also.